Awnings can give a home an architectural appeal as well as provide functionality by shielding the harsh sunrays. It can also provide protection against the rain. You can leave your windows open to get the cool air in without getting the water in. When you custom order an awning it can put a dent on your budget. However, if you make it on your own, the savings are significant. 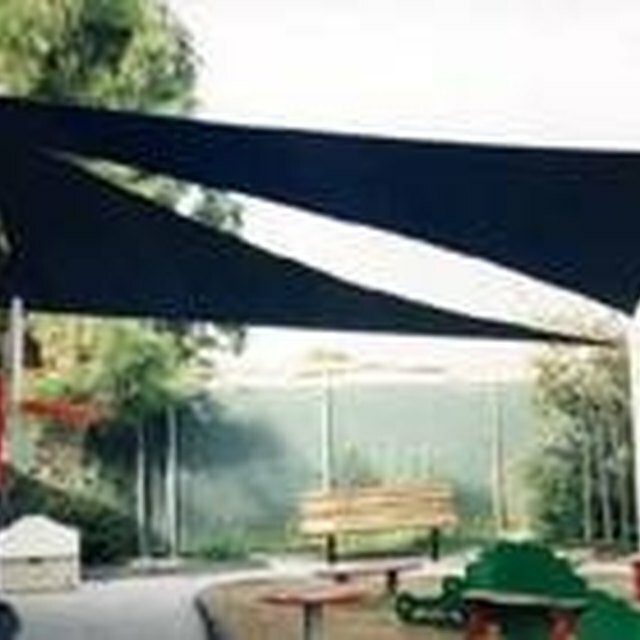 This article offers some tips on how you can make an awning made of canvas and aluminum materials. Determine where you will install the awning. When using above doors or windows there should be enough clearance from the top of the door or windows. It is best to install the awning at least 3-inches above the door or window frame. Measure the location where you will install the awning. Locate the studs where you will connect the aluminum frame. Build the aluminum frame based on the measurement. For a standard awning style you need to create an aluminum frame made of 10 pieces of aluminum framing material cut to size. Assemble the frame as shown on the accompanying image. Connect them using galvanized screws to prevent from rusting. Mount the aluminum frame onto the exterior wall above the door or window frame. Note the red marks on the accompanying image would be the connections for the screws to mount the frame on the wall. Hit the studs or use the wall anchor for a more stable hold. 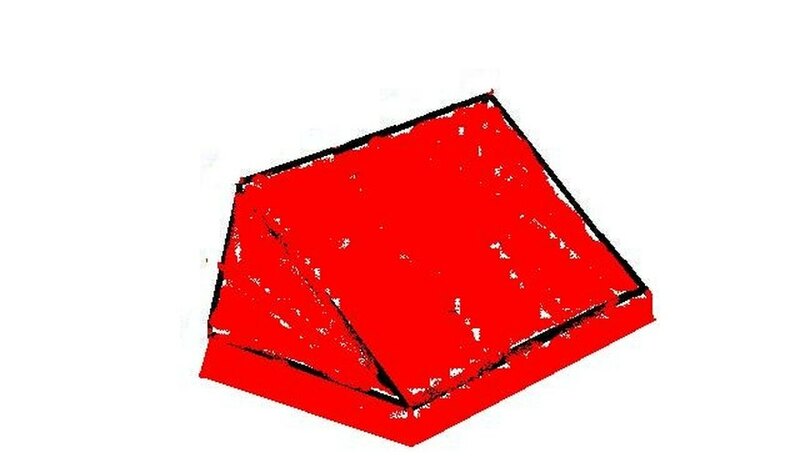 Place your pattern paper over the awning frame. 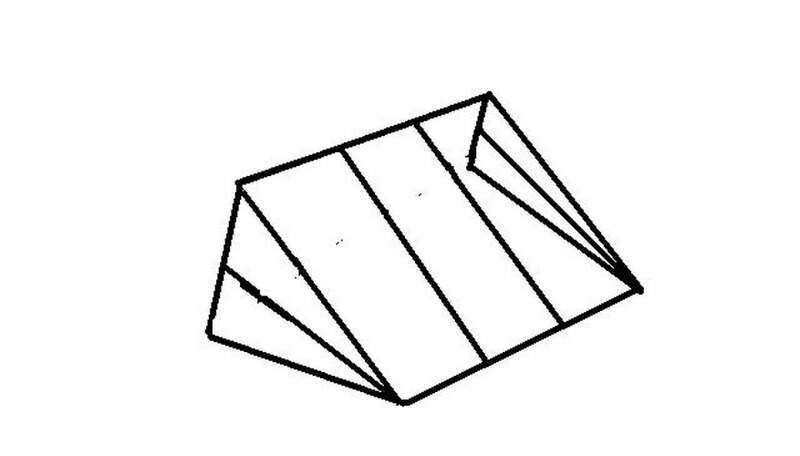 Trace the shape in each section; one triangle on each side and one square or rectangle (depending on the length) for the top part. You can measure to fit exactly on the frame or you can add extra length for the flaps or skirt. Cut the pattern paper, separate each section, and label each one. Make sure to provide 1-inch seam allowance on each side. Put the pattern paper on the canvas then cut along the shape of each pattern paper. Use a sharp pair of scissors or blade to cut through the thick canvas material. Sew the pieces together by each section. Use either #18 or #20 gauge needle. If your sewing machine cannot fit big needles, you may need to sew by hand. If so, use a metal thimble to push the needle through the material. Use a one-ounce cone of V-69 or V-92 Z-twist polyester fiber thread so that it is strong enough to hold the canvas even when it is windy. A regular thread will not hold up like the fiber thread. Slip the completed piece on the frame. Hold the piece in place by fastening the canvas from underneath to the framing using adhesive tape. This will hold the canvas in place as you sew the canvas on the frame. Connect the canvas to the awning frame by sewing underneath. Run the thread over and under each corner or side of the canvas where the extra seams are. Sew around the frame underneath the canvas. Make sure to pull tightly and do a double knot at each end. There are awning manufacturers that sell awnings in a kit. Each kit comes in different styles that contain steel rods, grommets and connectors. Click on the links shown under "Resources" for more information. Make sure to seal the areas where you drilled to prevent water from seeping through the holes.